In a first, all new homes in California will be required to have solar panels beginning in 2020. The California Energy Commission approved new energy standards on Wednesday that are expected to help reduce the state's greenhouse gas emissions 40 percent below 1990 levels by 2030. 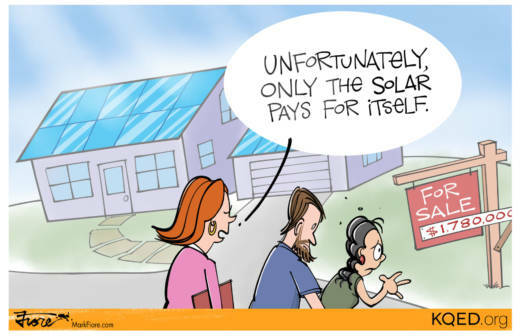 The energy commission estimates the solar requirement will add approximately $40 a month to the average mortgage payment, yet will save homeowners about $80 per month in energy costs.